Don’t you just love Alexa Chung’s style? 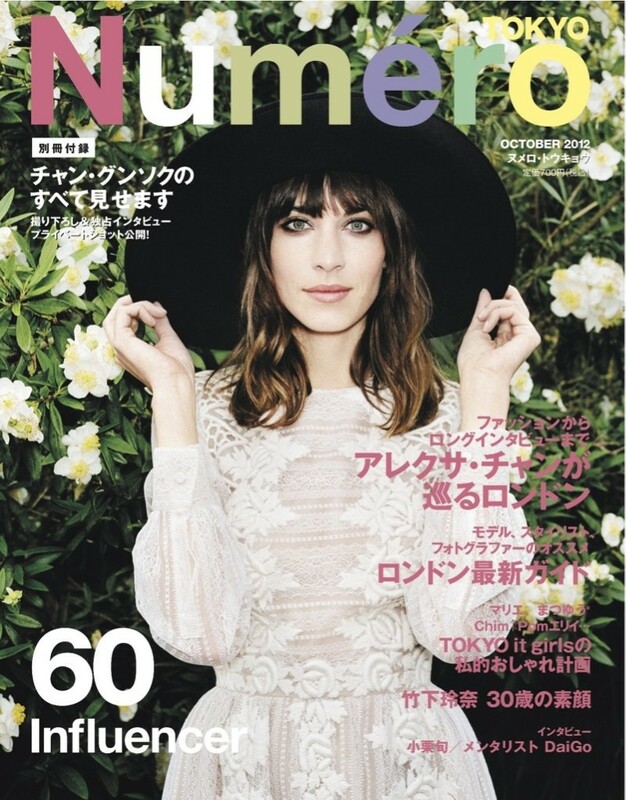 The “It” girl is the latest to grace Numéro Tokyo for the glossy’s October 2012 cover. On it, she wears a wide-brim hat and a Long Sleeve Embroidered Dress from Valentino. Beautiful! The dress is straight off of the brand’s Fall 2012 runway and features mixed embroidery with two rose panels down the front, pleated shoulders, long sleeves with barrel cuffs, a seamed waist, and a pleated A-line skirt. It is so romantic and elegant. Valentino’s Long Sleeve Embroidered Dress retails for $8500. Visit www.neimanmarcus.com to purchase and www.valentino.com for more information. See the dress on the runway below, worn by Sigrid Agren. *Images courtesy of Fashion Gone Rogue and Style.com. that dress is beautiful and I love Alexa’s look on the cover! !